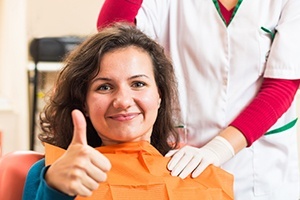 At Edgewood Dental, we believe in the importance of repairing both the function and appearance of a damaged or decayed tooth. That’s why we recommend restorations crafted from quality materials that blend seamlessly into the smile, ensuring your results look as good as they feel. Tooth colored fillings are some of our most versatile and cosmetically superior restoration options. From repairing dental decay to filling the gap in patients’ smiles, tooth colored fillings deliver flawless, healthy results that last. 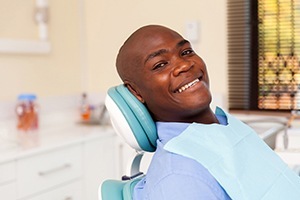 If you want to learn more about tooth colored fillings or any of our other dentistry services, call our Michigan City dental office to schedule an appointment with our skilled dentist and team. Tooth colored fillings are made from high quality composite resin. These filling materials are durable, and because they seep into small pits and crevices in teeth, the results look natural and last for years. Amalgam expands and contracts more than natural tooth structure. This can lead to additional dental damage, and over time, the filling may break away from the tooth. Composite resin functions much more like natural teeth. Patients who have allergies or sensitivities to metal, can experience adverse responses to the amalgam. 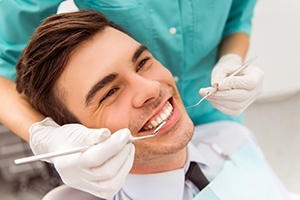 Completely metal-free composite fillings are safe for even the most sensitive smiles. To place an amalgam filling, we need to remove healthy tooth structure to create wedges that hold the filling in place. Tooth colored composite resin fillings are applied directly to the tooth, filling in the gaps and creating a seamless end result. 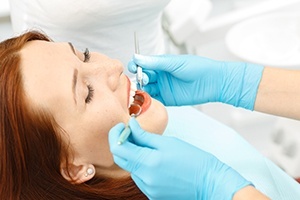 Tooth colored fillings can be placed in just one trip to our dental office. We start by numbing the tooth. Then, we remove any damaged tooth structure. Next, we choose a quality, composite resin that matches your natural tooth color. The putty-like composite resin is applied directly to the prepared tooth and molded into position recreating lost structure, filling in gaps or cracks, and concealing cosmetic flaws. A curing light is applied to the tooth, hardening the resin into place. Finally, we smooth and polish the tooth, leaving you with a flawlessly restored smile. Once your tooth colored filling is in place, you can go right back to brushing and flossing as usual. We may recommend you change to a softer toothbrush or less abrasive toothpaste to avoid wearing away the composite resin. You should also use mouthguards during athletic events and to protect your smile from nighttime teeth grinding and clenching. Avoid using teeth to open packages or crack nuts, and don’t chew on ice or fingernails. Unlike other types of restoration materials, fillings are not stain-resistant, so you should limit your consumption of staining foods and drinks. Most importantly, don’t forget to visit our team twice a year for dental exams and teeth cleanings.